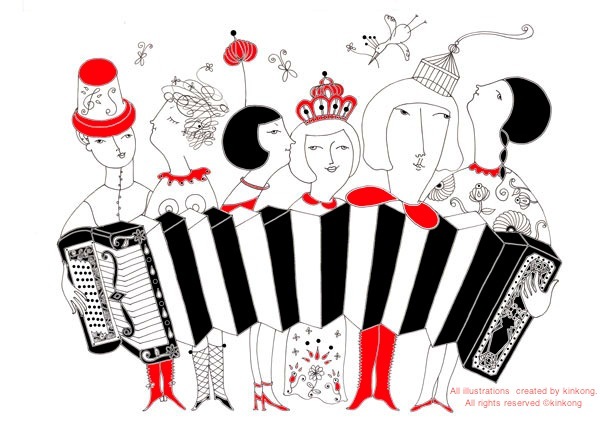 Go Go Accordion Girls: Time to Say Hello! Thank you Miss Flyinv V! How was EXAM of Jazz Bass? Oh, I love all your work---the cards, jewelry and even the pillows/soft dolls. So fun to see what you do! Did you enjoy 'Dark Shadow by Tim Burton'?